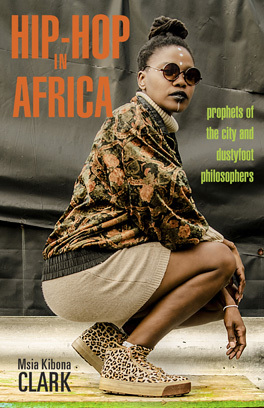 Within the African hip hop community, there are often instances in which artists leave their home country to pursue an academic career elsewhere. When they return to their country and produce hip hop, they sometimes combine their native language with English, creating a unique blend of cultural references. However, there are also times in which artists choose to rap in their native tongue, even though they possess the capability to rap English. South African hip hop artist Sho Madjozi is an artist who has decided to stick to her roots when it comes to which language to rap in. At 25, the South African hip hop artist has produced hip hop music in Xitsonga. Xitsonga, which is a used by the Tsonga people, is a Bantu language in South Africa. One popular hip hop song that Sho Madjozi speaks in Xitsonga is “Dumi Hi Phone”. The 2017 music video for “Dumi Hi Phone” by Sho Madjozi gives off an upbeat, playful tone combined with vibrant colors and dancing. Although the lyrics of the hip hop song are in Xitsonga, Sho Madjozi explained their meaning in English during an interview with the Expresso Show. Within the video, Sho Madjozi breaks down the first bars of the hip hop song. The lyrics, which combine Xitsonga and a small amount of English, are, “Man’i ta ni byela yini, Coming in this way, Loko m’ la’ lukhanya mina, Vela you should miss me, Party since Tuesday, Vona it’s a new wave, You wouldn’t wanna bother stopping me, ’cause it’s too late.” Sho Madjozi explains that these lyrics mean that she cannot be bothered, moreover, she is unapologetically being herself. The proceeding lyrics explain the name of the hip hop song. Sho Madjozi states that she gets asked a lot of questions, for example, why is raps in Xitsonga. She goes on to explain that she does not have time to explain herself, but suggests to have people ask her through her phone. Overall, the way in which Sho Madjozi presents herself in her rap music arguably illustrates her loyalty to her roots in South Africa.